William 'Mack' McLendon is an agent with the CIA. As the two-book series written by a long-time employee of the Agency begins, McLendon is semi-retired from his job where he had worked for nearly three decades, dating back to the time of its predecessor, the OSS. Since he left, he has been using his law degree earned many, many years before, to keep himself busy although he deals mainly in wills and such. As he tells the people who come calling on him looking for someone with his experience to help out, his pension from the Agency is enough to keep him comfortable and he works in an office as an attorney more for something to do than to earn a living. This dislike of inactivity likely was the chief driver for his returning to the fold, albeit on an informal basis. McLendon's departure from the Agency was not as totally amicable as it might have been though details are not forthcoming but it was only with certain people at the top and those people are long gone, leaving the stories of the best counter-terrorism agent that ever worked there intact. Nicknamed Mack the Knife by those who regale recruits with stories of derring-do and actions often bordering on the fantastic, his exploits still resonate well and make him the perfect candidate to approach when a top Agency-trained operative was needed but the Agency could not get involved due to political reasons. 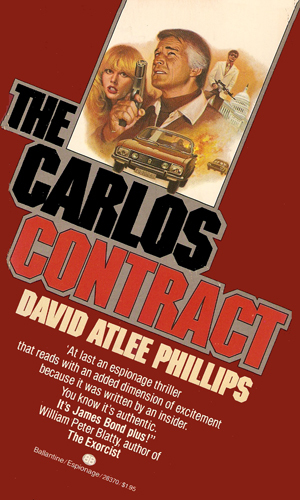 The first book in the series recounts the incident in which McLendon is pulled back from retirement to go after the infamous Carlos the Jackal, although evidence indicates that the original Carlos was dead and his role now played by a former CIA agent who was even deadlier than the real thing. It is McLendon's job, hired by major businessmen under the unofficial auspices of the Agency, to go after Carlos and put him down one way or the other. The second book, taking place a decade later, has a McLendon in his mid 60's asked once again to help when the fake Carlos, having created a small cadre of skilled assassins, escapes from prison and needs to be ended for good. While McLendon is not the main active agent is this second adventure, he plays a major and critical role. Retired CIA agent William McLendon is brought back to find a way to defeat the terrorist Carlos the Jackal when his actions begin to disrupt the flow of oil. Rumors are going around that the elusive terrorist Carlos has really been dead for some time and that a former CIA agent has taken his place and trained a small cadre of killers, all for profit. McLendon is brought back to help in finding the truth and capturing the rogue agent. 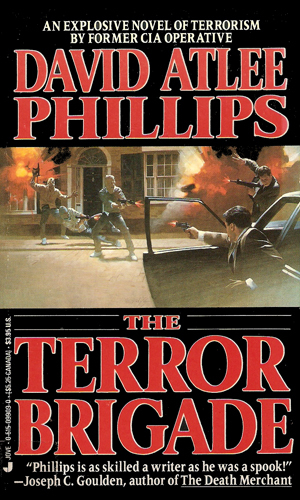 While the author, David Phillips, was working throughout Central and South America for the CIA, his older brother, James Phillips, aka Phillip Atlee, was earning a living writing about spies in the bestselling Joe Gall series. It seems fitting that once the younger Phillips retired from clandestine work, he, too, would put pen to paper and come up with an adventure or two. Certainly, he would be writing from experience. Even if the tale he told were totally different from the work he actually did, the atmosphere and the spycraft would feel authentic. Many years before I learned of the first book in the series, I had read and enjoyed the second book in which the older McLendon is brought back yet again to fight the good fight. I should have known from the feel of the book that there had been one before. The McLendon books read fast, smooth, and easy, giving the reader a lot of pleasure and considerable excitement. It is fun to watch a man who, according to the tales about him, was almost a swashbuckler in his approach to handling his covert assignment, now going back into the field somewhat slower, a good deal wiser, and with a slight paunch around his belt that he wishes would go away. And in the second book, the even older former agent has considerable more experience and wisdom and a good cadre of influential friends but he still gets a twinkle in his eye at the thought of the action. Both Phillips brothers were darn good writers and even better storytellers. I have always been pleased James wrote so many books. I regret that David only did two about McLendon but at least he did the two and for that I am grateful.